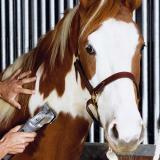 For clipping llamas, alpacas and dense, matted hair on dogs and horse. 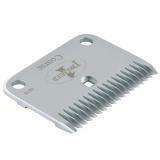 Has a cutting depth of 0.12". How do you save $17 a set? 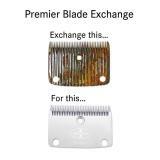 You save $10 off a new blade set from Premier (they retail for $40) plus the $7 resharpening fee on the used blades. Must it be an exact upgrade? Fine blades for fine blades? No. 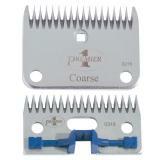 Any Lister® blade may be exchanged for any Premier Surgical, Fine, Medium or Coarse blade in any combination (i.e. a Premier Fine for a Lister Medium). Note: Super Surgical and XtraCover blade sets can be included in the offer. Super Surgicals will be $40 and XtraCovers will be $32. Premier blade sets fit: Premier's Clippers: 1000c, 3000c and 4000c. Since I am new to using clippers I wanted to start with blades that didn't cut so close that it looked as though I was a complete beginner. These were perfect and I didn't have to wait for any hair to grow out to hide any mistakes. My hair lambs looked great and I was able to take pictures right away. Bought the clipper head and these to go on my 4000S motor. Work great on our Golden Doodle. I sent three sets of blades on Monday from Michigan and had them back Saturday. 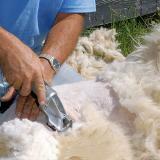 I hit more sheep sheared today. Thank you for such quick turn around. My order of combs and cutter blades (course) for Camalids arrived in a timely fashion. 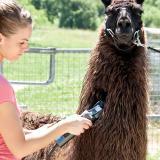 Started shearing our Alpacas the same day they worked perfectly.